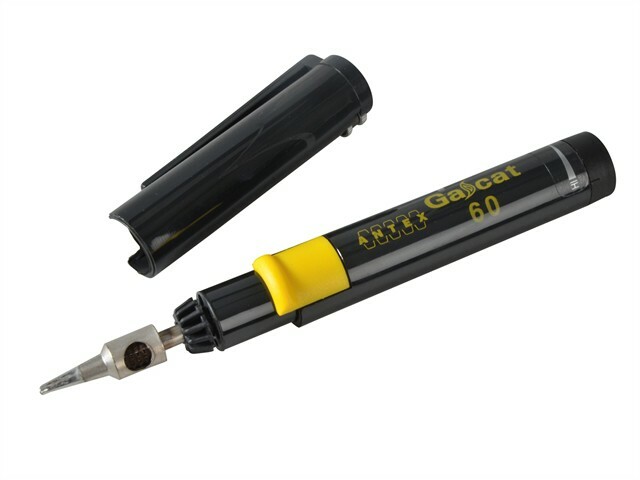 The Antex XG06020 Gascat Soldering Iron is suitable for a number of domestic and industrial applications. Heat is generated by a single butane gas cartridge, avoiding the restrictions associated with conventional electric powered machines. The temperature can be adjusted on the body of the tool. A range of soldering tips are available to accommodate the majority of applications. Run Time: Approx 1 Hour.